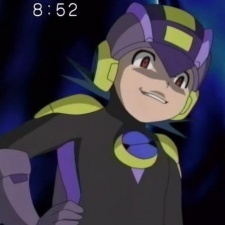 In the anime, Dark Rockman.EXE is a delinquent net navi created from a part of Rockman&#039;s data, effectively becoming his "evil half." Jealous of Rockman and Netto&#039;s friendship, he attacks their friends and attempts to impersonate Rockman, though the disguise is quickly seen through. Later in the series, Dr. Regal sends Dark Rockman to enter Duo&#039;s Comet. Yet before doing so, Dark Rockman is defeated by Rockman in combat. He succeeds in escaping and accessing Duo&#039;s Comet, but Slur intervenes, running her sword though his back, deleting him.